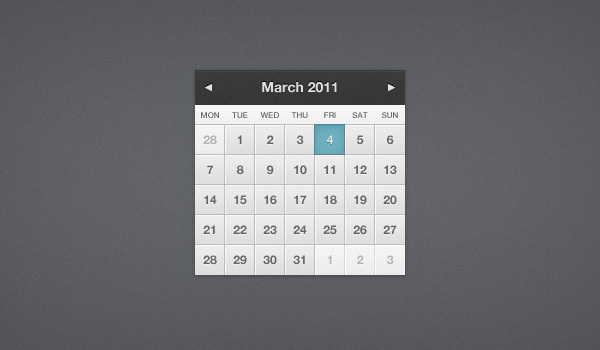 There are different varieties of calendar interfaces available online. This sometimes makes it difficult to decide which one will be the best for a particular website design. If these match your website theme, you can very well go ahead with even the basic ones. A good example of this is the Calendar. You may also face this kind of situation where choices are too many to pick from. In order to deal with this, it is necessary to focus on all the basic requirements of a project first. This will give you an idea whether a particular choice is suitable or not. 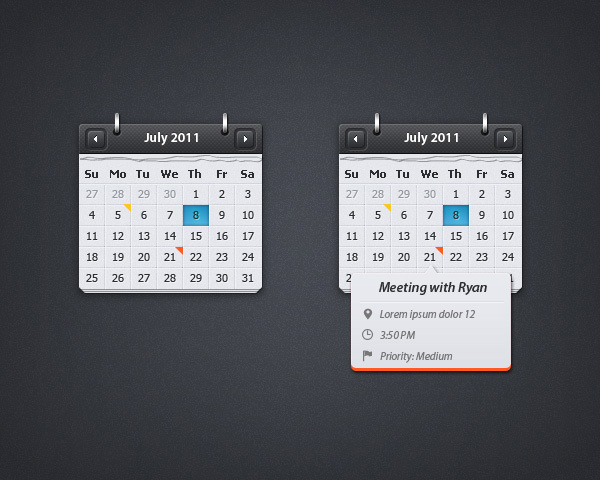 For instance, all calendar user interfaces have similar functions and fields. However, there are a few which can include an additional field for an advanced user navigation experience. It will not be wise to pick the latter simply because these have an advanced feature. You need to analyze other factors also, such as design and color combination used in those templates. In this template, a dark background has been used. 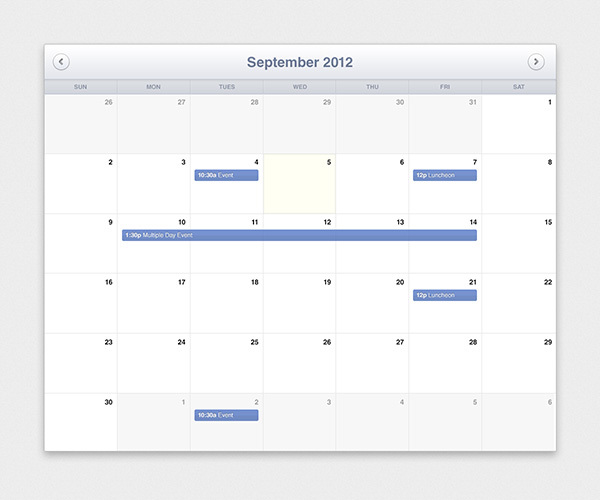 Its format is based on PSD and hence, you can edit it according to your choice. You can get this file for free from the internet.